One of my favourite flowering trees is Jacaranda mimosafolia, with delicate feathery foliage and beautiful soft blue flowers in mid spring. 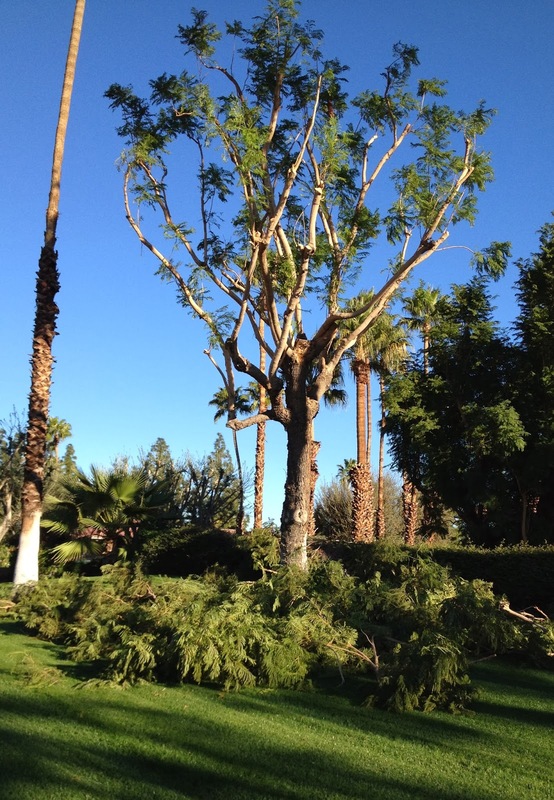 In the past I have rarely been in Palm Springs at flowering time, so not often seen them at their best. When allowed to grow freely they are a wonderful sight and in full bloom, look like a tree full of bright lavender blue hyacinths. The tree originates from South America and is often planted in frost-free countries. Back home in the UK I have only ever seen it as a small leafy foliage plant. Sadly they are often brutally butchered into ugly shapes. The tree has a reputation for being brittle and dropping branches but in my humble opinion if it were pruned less, there would be fewer weak joints and rotting crevices, and the tree would be more stable. Any way the sad point of today's post is to record that all the jacarandas that I pass on my morning run have just been hacked - probably just a couple of months before they should bloom. What is the sense or logic in that? All that flower potential lying on the ground! So sad! Ouch! Them in bloom altogether would have been a spectacular sight to behold. If you get the chance in June or July (? ), there are impressive street plantings of jacarandas under tall fan palms lining some residential streets in South Pasadena CA. Almost made up for their intense smog! Sad indeed... I have never spent much time in a part of this country where jacarandas are common enough to notice them being trimmed so severely. Most of my experiences with them are from spring vacations to Portugal, where thankfully they seem to be largely left to grow as they please. 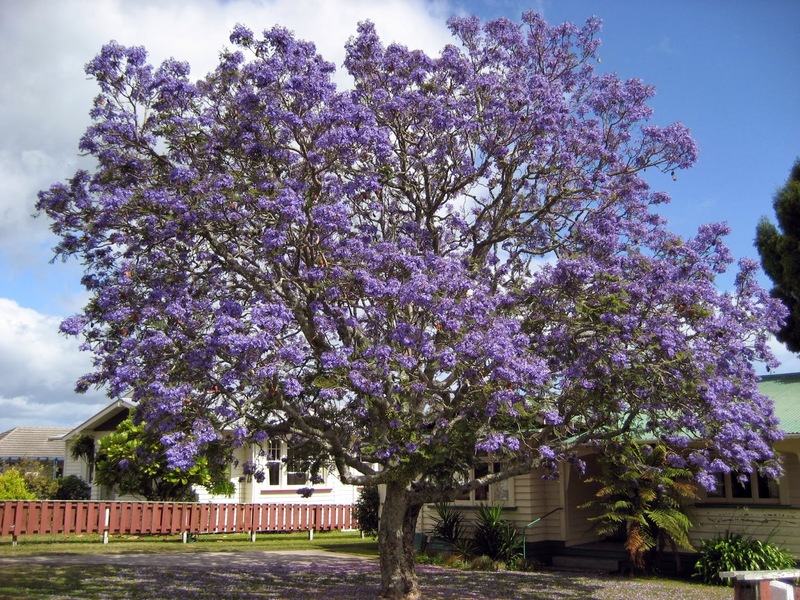 Wow, if you love Jacarandas consider visiting "The Jacaranda City" Grafton, on the beautiful north coast of NSW in Australia. The city hosts an Annual Jacaranda Festival from the last weekend in October to the first weekend in November, it is fabulous!